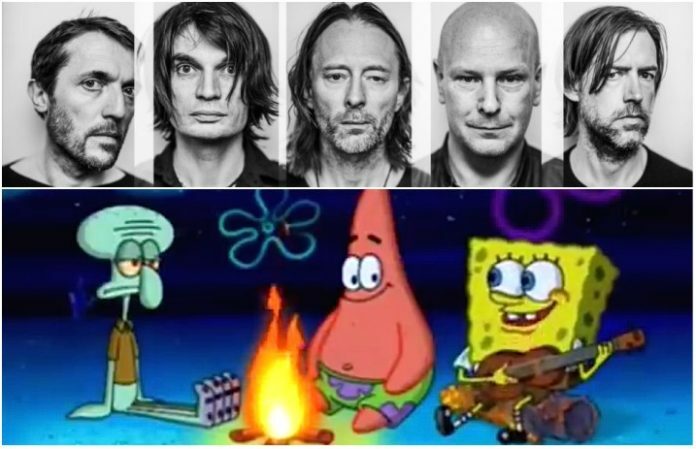 Radiohead guitarist Jonny Greenwood has apparently given his blessing to a hilarious SpongeBob SquarePants meme that's been making the rounds of late, even calling it “perfect.” See the Radiohead-SpongeBob meme below! Radiohead, the recent Rock And Roll Hall Of Fame nominees and trailblazing alt-rock troubadours, have a diverse, nine-album discography that spans from 1993's Pablo Honey to last year's A Moon Shaped Pool. Now, that vast and varied collection has been distilled into a one-minute SpongeBob meme, with each Radiohead record being described by a certain SpongeBob scene. 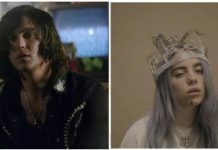 As noted by Stereogum, the meme has reportedly received about a tenfold increase in views thanks to Greenwood's Twitter endorsement. Go ahead and take a look at the funny Radiohead-SpongeBob meme below, but we just have to ask, is it really better than Thom Yorke slamming a fish into a dryer?